NOLA_CODE was the lucky winner of our New Orleans Re-Kraft 48 Hour Brand Event. 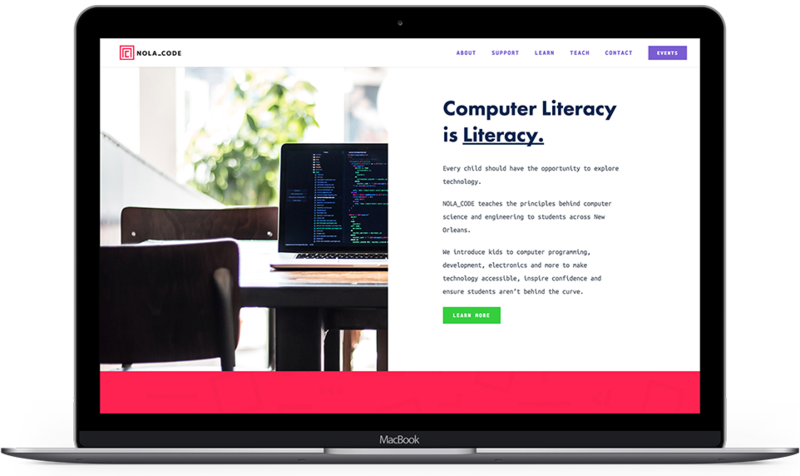 They are a non-profit organization dedicated to increasing access to Computer Science education for students in grades K-8. We worked over the course of two days to deliver a complete brand package, from logo, to website and collateral. Under the time constraint, we were tasked with creating a more refined identity that would reach the right audiences. Their old logo was based on primary handwriting paper and felt too juvenile. While they teach children, their target audience is principals and administrators. This required a delicate balance between playful and fun, but also professional. 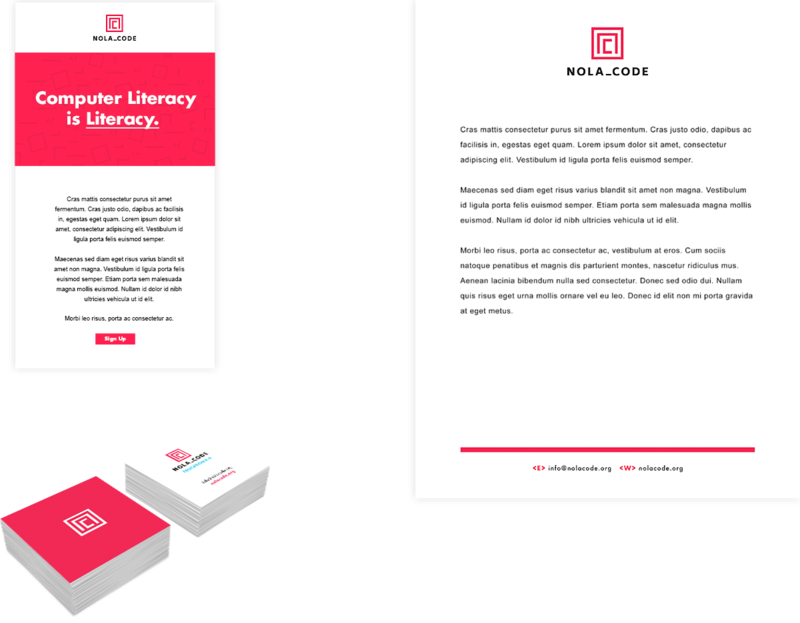 Idea Kraft worked to create a cohesive brand identity that was more in line with the NOLA_CODE mission. 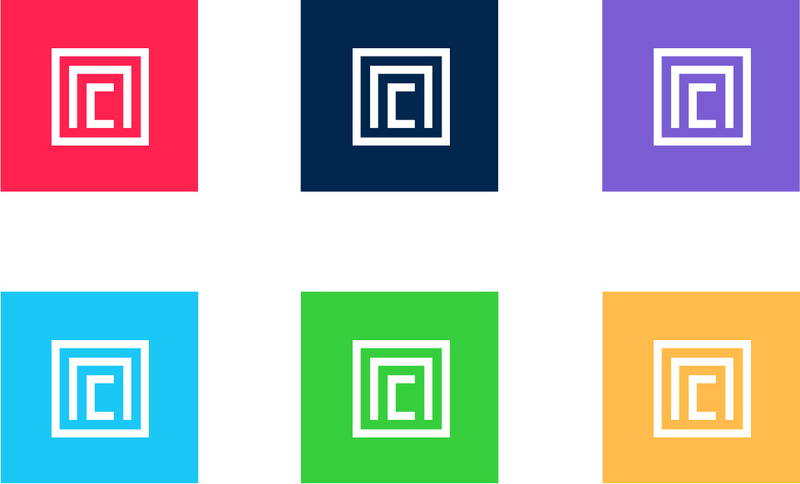 We developed new logo concepts that kept the defining element of the underscore, but were much cleaner and bolder. The chosen logo comes from two explored options, bringing ‘NC’ together and resembling an open door of opportunities. Its building blocks allow for a playful look to be implemented in the form of patterns. An active and bright color scheme easily communicates key information on the website, with supporting visuals including a custom set of icons. A monospaced typeface paired with a geometric sans-serif font gives a contemporary look, while staying true to the roots of computer code.